Join us this week for three dynamic guests as we share personal stories and tips to help you develop and GROW your business! Host Jimmy Davies, owner of Every.Black and co-host LaTasha Best Gaddy will review last week's discussion on sales pitch and pricing your product or service just in case you missed it! Sheryl Merritt will discuss residential real estate. Commercial real estate advisors Sherry Taylor and Dorian Carter will discuss commercial real estate. 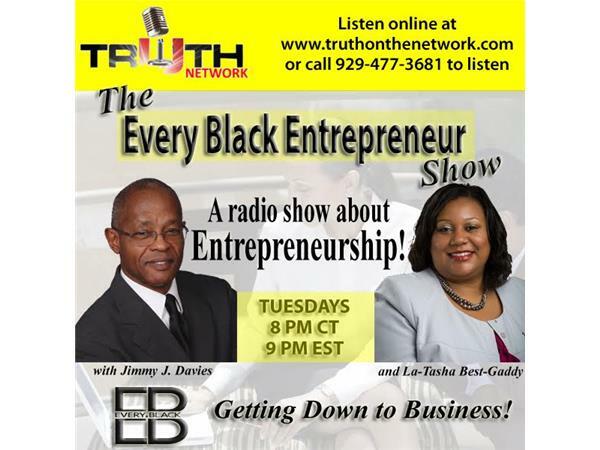 Listen to The Every Black Entrepreneur Show every Tuesday, 8pm CT/9pm ET... 929.477.3681!